This wise and mysterious molar is patient and understanding in nature. 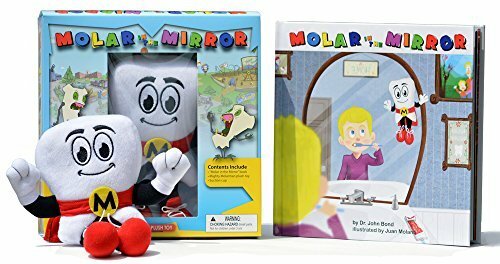 He has lived many moons over Molar Towne®and resides at the peak of Mount Molar. Wisdom Tooth is an experienced soul, and many molars come to him for advice. He gives them honest answers, and helps them seek their destiny and fortune. His long, white beard is rumored to hold the secrets of Molar Towne® life. To make the treacherous climb up Mount Molar to meet Wisdom Tooth®, you must be willing to embark on a full day's journey. It is said that once a molar reaches the peak of the mountain, that Wisdom Tooth® can be seen molar meditating, and to break his concentration will bring bad luck on whoever disturbs him. A molar must wait quietly and patiently until he is ready to acknowledge their presence. All images displayed on this site are property of Molar Towne Productions, LLC or their respective owners and may not be reproduced in any manner.